Search and rescue teams on Tuesday found a blood-stained shoe, a half-burnt PAN card and a wallet of one of the pilots. 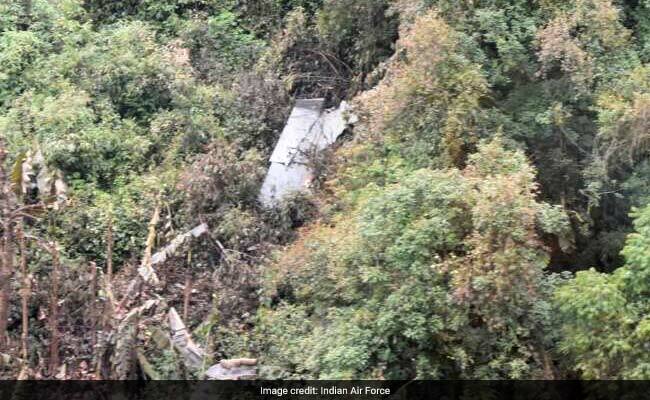 Guwahati: Over a week after a Sukhoi-30 fighter plane of the Indian Air Force crashed near the border in Arunachal Pradesh, the bodies of its two pilots have been found and brought to an air force station in Assam. The Air Force declared Squadron Leader D Pankaj and Flight Lieutenant S Achudev dead yesterday, after days of searches in the forests where the jet crashed, approximately 60 km from Assam's Tezpur Air Base. Sources have told NDTV that the army trekked down the terrain for several hours, creating a path several hundred feet downward from the crash site and found the bodies. The teams were challenged by incessant rain and poor light. The Sukhoi-30 aircraft took off from Tezpur around 10.30 am on May 23 on a routine training mission as part of a two-aircraft formation. The jet went off the radar and lost radio contact around 11.10 am near the Doulasang area in Arunachal Pradesh bordering China. The pilots could not eject at the time of the crash, reveals an analysis of the jet's Flight Data Recorder and some other articles recovered from the crash site. "Squadron Leader D Pankaj and Flight Lieutenant S Achudev, the pilots of the Su-30 aircraft sustained fatal injuries when the aircraft crashed," the Air Force said. The wreckage was found on May 26 through an aerial recce. Search and rescue teams on Tuesday found a blood-stained shoe, a half-burnt PAN card and a wallet of one of the pilots. The fighter jet's blackbox was recovered on Sunday by teams of the Army, the Air Force and administration personnel. The Air Force has called for an inquiry into the crash. Since then, six crashes have taken place, mostly because of technical failure. In March, a Sukhoi-30 aircraft crashed near an air base in Rajasthan's Barmer. Both pilots had ejected to safety.